When shooting newborn portraits, be sure to get in close to get details. They grow so fast that it’s soon difficult to remember what their little fingers and toes looked like after just being born. The little details will be cherished and remembered by mom and dad for years to come. Additionally, capturing both the wide full body shots along with the tighter detail shots add a storytelling element to your shoot. Now that you know the three basic posing positions, you can start getting creative with props, backgrounds and angles. 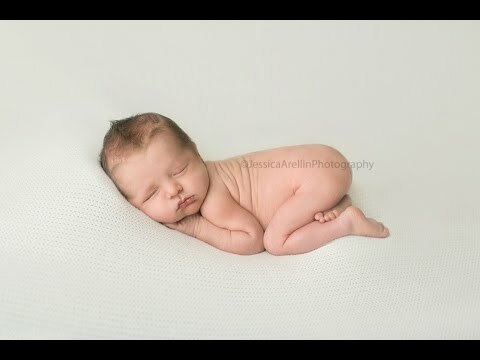 To get more tips on photographing newborns, check out our Newborn Photography Workshop here. Posing a subject is a skill that many photographers find challenging in itself, but posing a newborn baby can be downright terrifying for some. When it comes to newborn photography, safety always comes first. This delicate mini human is fragile and doesn’t adhere to any posing cues, so as a newborn photographer, you must become an expert at how to properly and safely pose babies. 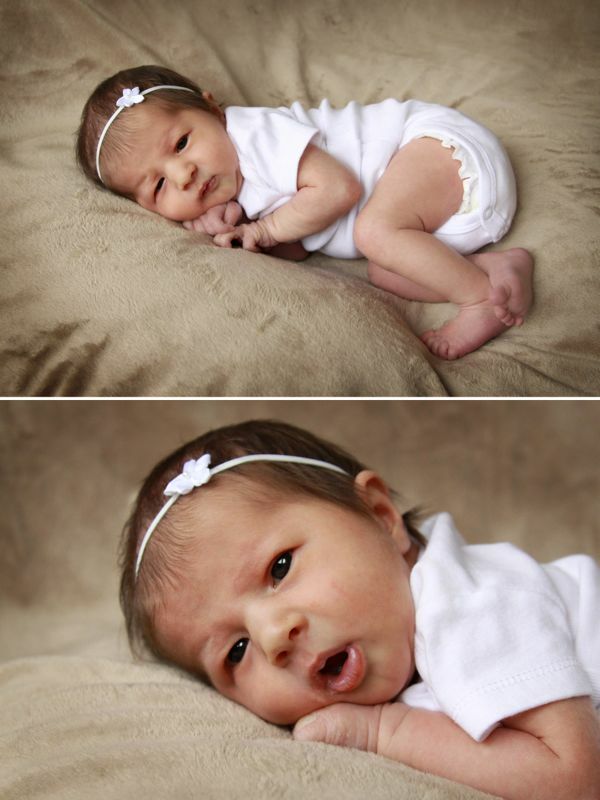 Here are 3 easy newborn poses to try at your next photo session. Each basic pose has simple variations you can try to get different angles and compositions. 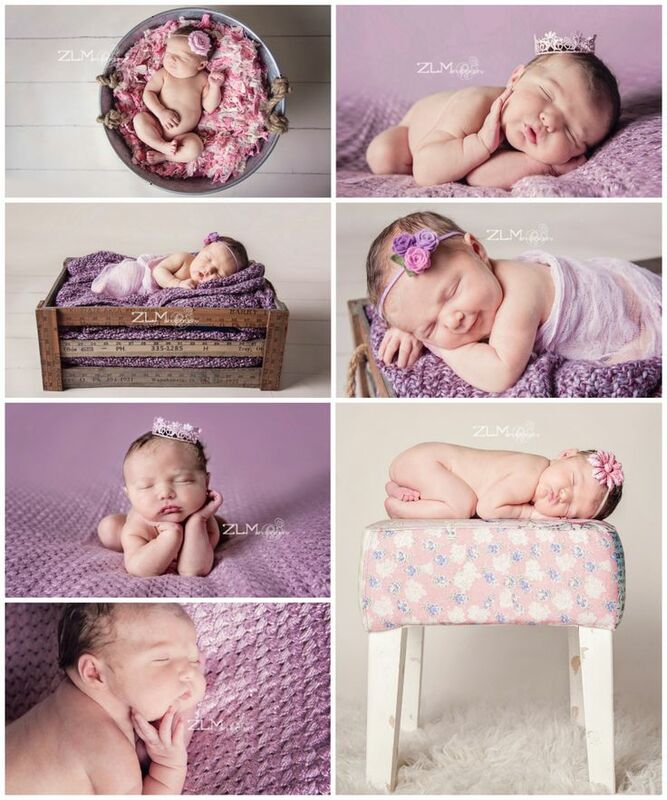 These tips are an excerpt from our Newborn Photography Workshop. Check it out here or access it as a Premium Member here. For the first variation of this pose, you can adjust their hands underneath their chin and shoot from the top down, getting the side angle, looking at the newborn’s face. Babies don’t generally move too fast, but we recommend staying above 1/100 of a second and ideally around the 1/200 to 1/250 of a second range. For this pose, start with the newborn on their tummy and then gently ease them onto their side, allowing the baby to rest on their side arm while crossing their legs. 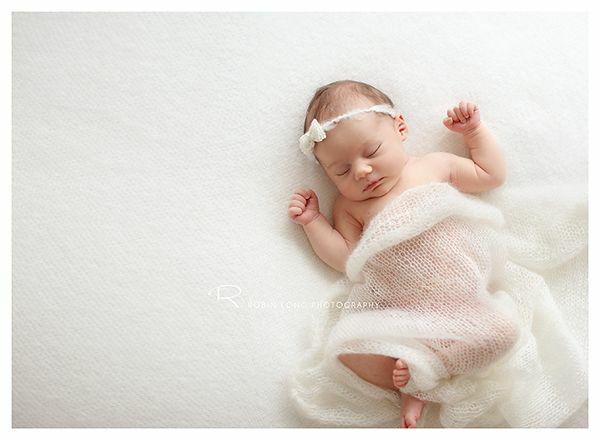 Use the silver side of the reflector to catch and fill light into the shadows on the newborn’s face. Shoot the image directly facing the baby to get an intimate perspective of the sleeping baby. This is a slight variation of the above pose. Simply adjust the camera angle to shoot a top down shot directly onto the baby’s body. It does a great job of showing a newborn’s body shape. You don’t need a reflector because you’ll be standing where the reflector was. This pose is a simple and natural pose for newborns. Simply lay the newborn on his/her back and place their hands on their tummy. A Westcott 5-1 Reflector can be used to add light, but make sure not to reflect the light directly into a newborn’s sensitive eyes. Have your camera ready to go for these moments. 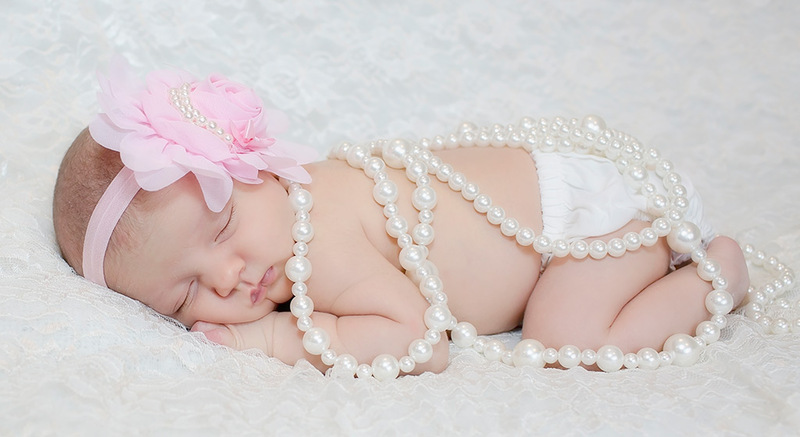 During this shoot, Baby Ellie woke up mid-shoot and blinked her sleepy eyes up at Pye. Remember to adjust your settings, speeding up the shutter and compensating for the baby’s movements so that your images will still be sharp. The tummy pose is a versatile pose that provides many different angles and cute variations. Start by moving the baby to lie on his/her tummy. Remember that babies are resilient and sturdy, but you always want to be cautious and overly safe, especially when dealing with their fragile head and neck. If there is any tension or flexing of the head or neck, wait for the baby to relax and then turn the head into position. For a newborn session, always be prepared for anything. Newborns can be unpredictable. One minute you have a calm, serene and sleeping baby, the next minute she’s red-faced and screaming her head off. Canon 5D Mark III; canon 50mm f1.2 | f/2.0, 1/100 sec, ISO 200. This shot seems simple, but can be a bit tricky because it requires a bit of time and patience. You want to make sure that the newborn is in deep sleep first so posing them will not wake them up. Hold the baby’s legs in the same position for about 30-60 seconds, and generally the legs will stay long enough for you to get a full-length shot.